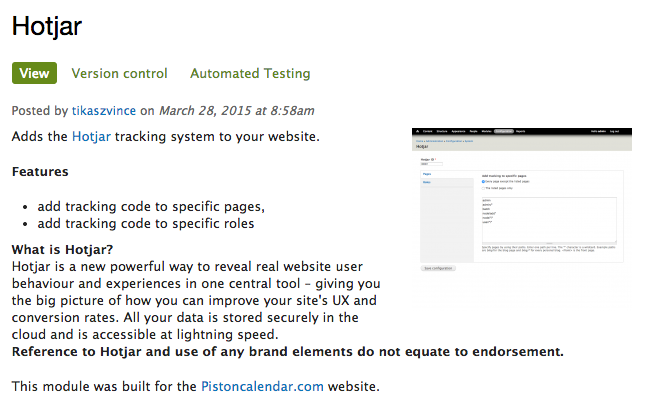 To install the Hotjar Tracking Code on your Drupal site, copy the tracking code from your Hotjar account and then use the Hotjar Drupal module. A Drupal Module developed by a third-party is available here: https://www.drupal.org/project/hotjar. Enter your Hotjar Site ID. 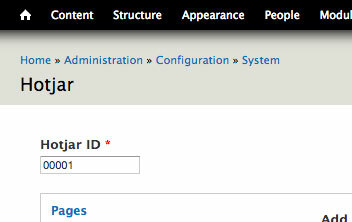 Having installed the module, go to Admin/Config/System/Hotjar page and fill in the Hotjar ID field. This is your Hotjar Site ID. To get your ID, look at the URL of your browser whilst you're logged into Hotjar: http://insights.hotjar.com/sites/**[SITE_ID]**/dashboard. Choose where you want Hotjar to load. You can now set what pages you want the Hotjar Tracking Code to load on. 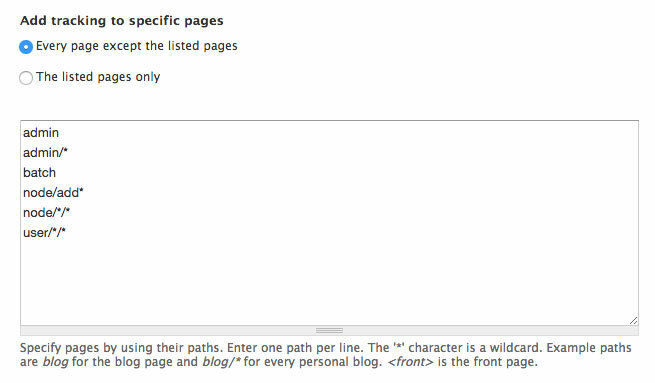 The default is set to add to every page except the listed pages.